Which beach will you be cleaning up on International Coastal Clean-Up day, which is Saturday, 21 September this year? Looking after the environment should be an everyday occurrence, but on International Coastal Clean-up Day we are all reminded to get active and head for the nearest beach. You will not understand the severity of this problem until you have participated, picked up litter and counted it all at the end of the day. And then we need to talk solutions, causes, how we can resolve this problem that is getting completely out of hand now. On this special day at Sunset Beach, Milnerton, PenBev and Clean C will be creating awareness and educating 120 learners from the Sinenjongo High School in the disadvantaged community of Joe Slovo Park. The festivities begin at 09:30 when the learners will arrive at the beach and receive a t-shirt, cap, gloves and recycling bags. An introductory speech and safety demonstration will be made, and then it’s clean up time! After the beach is left spotless, the learners will be treated to a meal and refreshments for their hard work. The first ever official beach clean-up took place along the Texas shoreline in 1986 and was arranged by the Ocean Conservancy. Since then, the effort has evolved into the International Coastal Clean-up we know today with South Africa being ranked on the list of top 10 participating countries. 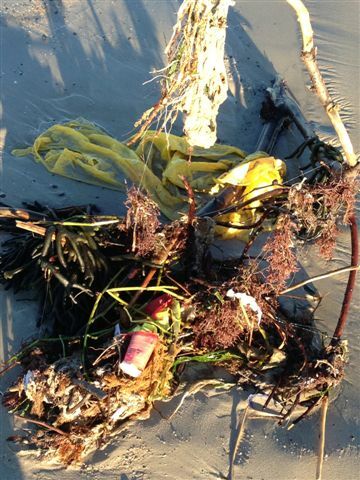 Marine debris that lands up in the sea is generally dumped inland and is washed down into the oceans. Statistics from the 1999 ICC showed that 59% of debris collected was from land sources. However, the work doesn’t stop when the beach clean-ups end. Once the volunteers go home, local coordinators are tasked with the job of collecting and compiling raw data obtained from the clean-ups in order to gain a better understanding of the types of litter found in the marine environment, such as cigarette butts, food wrappers, lost fishing nets and even major appliances. 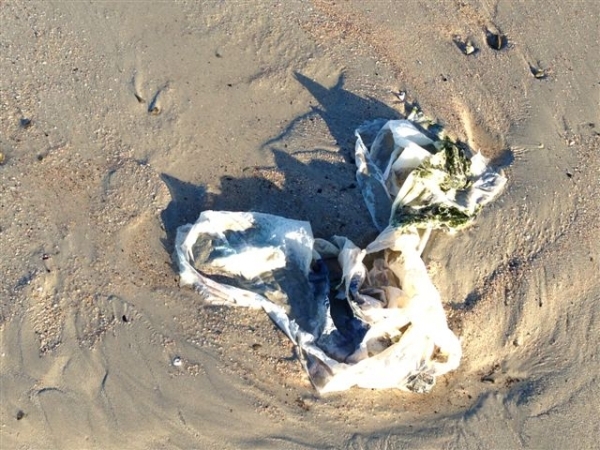 “We analyse the data we receive after each year’s clean-up and send this off to Ocean Conservancy International who uses these stats to publish the world’s only item-by-item, location-by-location snapshot of marine debris in an annual report. This comprehensive look at the human handprint of marine debris helps to educate government, scientists and the public around the world,” Kieser says. “The International Coastal Clean Up is as much about preventing litter as it is about cleaning up our beaches and waterways”, Kieser explains. “We believe that plastics don’t litter. People do. “With the support of our partners such as Ocean Conservancy, KZN Conservation Services, Kelpak, Pick n Pay, Coca Cola, Tuffy, and Addis, we try to educate people about waste. It is only by understanding what is out there and how it is all connected, that we can work together on finding solutions for the growing problem of litter that travels to the ocean by way of storm drains and waterways“. 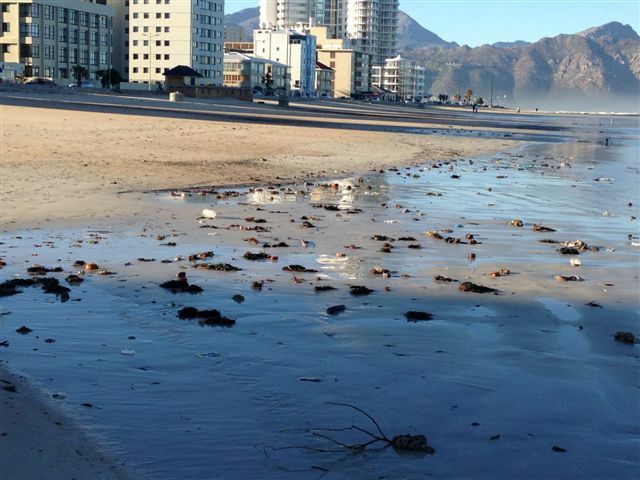 For information about land-based beach and river clean-ups that will take place elsewhere in South Africa during the week leading up to the 21st of September and on the day itself, please visit the Clean-up Diary.